Located on the south east of Spain, the port city of Alicante serves as the capital of both the Alicante and Valecian regions. Situated along the vast stretch of Mediterranean coastline, this city is home to some of Spain’s most exquisite beaches, and portrays an eclectic blend of architectural styles in honour of its Grecian and Arabian influences. 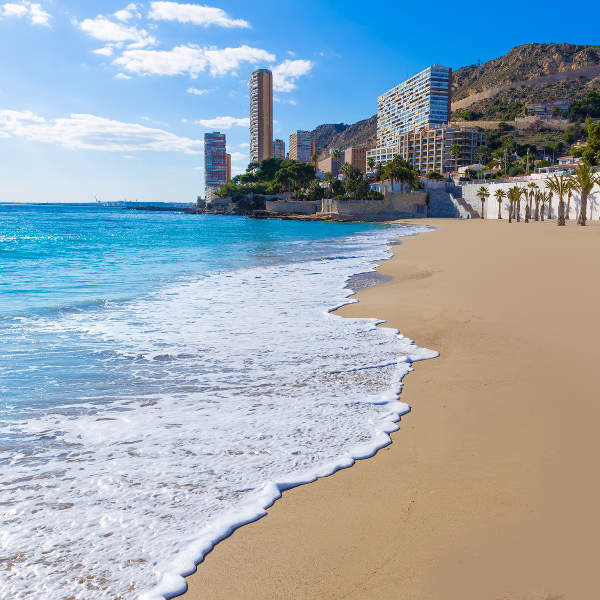 Cheap flights to Alicante are now available for a limited time only, so book your flight today and experience the beauty and friendly culture this city has to offer! 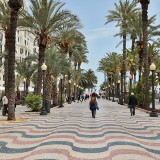 Alicante is home to Alicante–Elche Airport (ALC), a 20-minute drive from the city centre. ALC serves many airlines, including KLM, Iberia and Air Berlin. Wander through the historic streets lined with Baroque-styled cathedrals and Gothic buildings. Just off Postiguet Beach lies the medieval Castle of Santa Barbara, built in the 9th century, a must-see for any visitor. The biggest draw-card to the city is its plethora of golden beaches. Just north of the marina lies Playa Postiguet, while further up you’ll find the 7km-long sandy stretch of San Juan, idolised for its water sports and beach bars. Stroll along the Esplanade for an authentic experience of the local lifestyle. 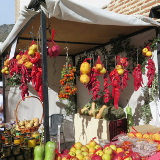 The gourmet displays at the Central Market will leave your mouth watering, while the Plaza del Gabriel Miro is a great spot to soak up the atmosphere. 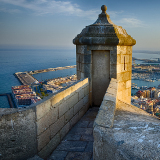 Alicante enjoys a relatively warm and pleasant climate all year round. The summer months, between June and September, experience very little rainfall making it a popular time to visit. August sees the influx of European holidaymakers flock to this city and many hotels, restaurants and beaches get exceptionally crowded. To make the most of cheaper hotel and restaurant rates, wait until October when autumn sets in and temperatures are a bit cooler and crowds have dispersed. October experiences the most rainfall in short, heavy outbursts, so be sure to carry an umbrella! Should you decide to visit during the summer, you’ll be in for a treat with a two-month-long programme of theatre, dance and music staged in the Paseo del Puerto, among many other festivals. Alicante is the historic Mediterranean port city on Costa Blanca in the south east of Spain. 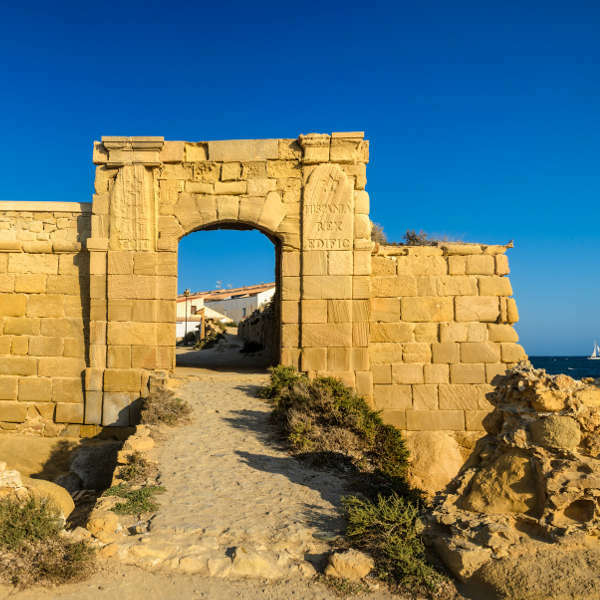 Spanning a history of 7000 years, this city saw some of the earliest settlements of Greek and Phoenician traders. 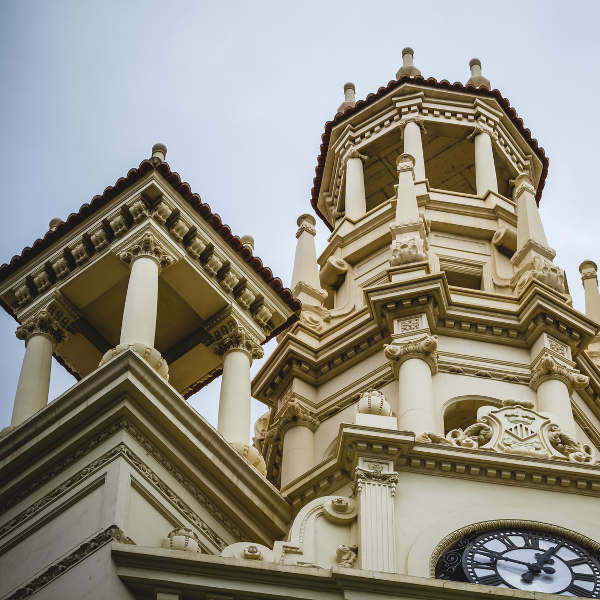 It’s Roman, Grecian and Arabic influences are still evident in buildings like the Castle of Santa Barbara and the Town Hall. The rich history of the city marbled with its tropical white beaches makes it a favourite getaway for local and international visitors. The Esplanade, stretching along the waterfront, is one of the most beautiful promenades in Spain. Look out for Tabarca Island, a former pirate haven, known to be something of a time capsule. Other sites include the Gothic Basilica of Santa Maria, the Cathedral of St Nicholas of Bari, and the Gravina Palace, housing the Gravina Museum of Fine Arts, with paintings and sculptures dating from the 16th to the 19th century. North of the harbour is the sandy beach of Playa del Postiguet, while Playa de San Juan offers water sports and trendy restaurants along the beachfront. Whether you’re here for a romantic getaway, or to soak up the sun, shopping and delightful cuisine, the charming city of Alicante will not disappoint! Compare several airlines, and book your cheap flights to Alicante online at Travelstart! Spain is considered a fairly safe country and violent crime is almost unheard of. Nonetheless, it is important to remain aware of your belongings and keep valuables close, especially in busy shopping areas where bag-snatching and pick-pocketing are more prevalent. Should you be approached on the beach by locals asking you to watch their belongings while they swim, refuse, as this may be a scam of them hoping you’ll do the same for them to take off with your belongings. Alicante has great medical facilities and healthcare, and pharmacies are widely available and are well-stocked. Alicante is a city bubbling with history and vibrancy! Whether you want to glam it up at one of the seaside resorts, rub shoulders with the urban trendsetters or chat up some locals over a beer at the local tavern, you will be more than satisfied with the range of accommodation on offer! For history lovers and culture junkies, you definitely want to be in the Old Town. This vivacious area is famous for its historic buildings, shimmering nightlife, shopping and tasty cuisine. Many of the old buildings have been refurbished into stylish hotels, while budget-friendly hotels and hostels are just around the corner. Spend a day walking around the Gothic buildings, markets, cathedrals and eye-catching boutiques – all of this only a 2-minute walk from the beach! Should you want to wake up to the sound of the waves, the beach resorts boast an array of budget holiday apartments and luxury spa resorts. Larger families may choose to rent an apartment or villa with a communal pool. Keep in mind that “Siesta” starts at 4pm when most restaurants close, re-opening for dinner service at 9pm. The nightlife around El Barrio and Puerto stays buzzing till the early hours. If you are staying in the Old Town, most attractions and hotspots are within walking distance. You could also rent a bicycle and discover your way down cobbled alley-ways and narrow streets. Buses and trams are popular and affordable ways to get around the city. Buses generally run from 6:30-11 pm and you can purchase a rechargeable card at the TAM office near the Central Market. Should you wish to stay out later and hit the town (you definitely will!) taxis are available to get you safely back to your hotel. Car rental companies are situated at the airport and throughout the city, should you wish to drive.